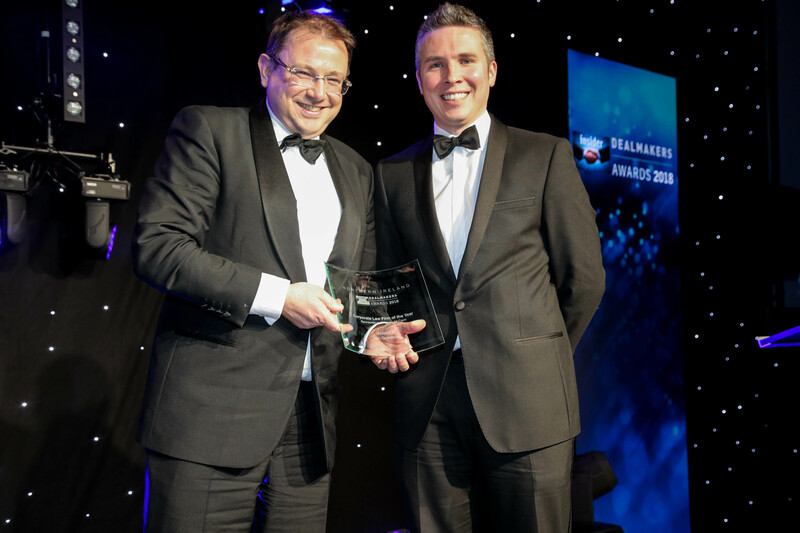 A&L Goodbody has been named ‘Corporate Law Firm of the Year’ at the Insider Dealmaker Awards, held last night in Belfast’s Waterfront Hall. The award was once again presented to A&L Goodbody in recognition of its involvement in some of the most significant deals in 2017, including the sale of Vita Liberata to Crown Laboratories and sale of Moy Park to Pilgrim’s Pride. "Receiving this prestigious accolade is a well-deserved recognition of our industry-leading team in Belfast. Corporate activity in Northern Ireland continued to improve in 2017 with some significant deals coming to market. This is a good sign for the economy and for our clients who require innovative, commercial and strategic legal advice." In 2017 A&L Goodbody marked ten years in Northern Ireland and invested in a major refurbishment and expansion of its Belfast office. It also saw expansion with 25 new hires, taking the team in Belfast to over 110 people.